Karen Holl (kholl at ucsc.edu) is a Professor of Environmental Studies at the University of California, Santa Cruz. Her research focuses on understanding how local and landscape scale processes affect ecosystem recovery from human disturbance and using this information to restore damaged ecosystems. 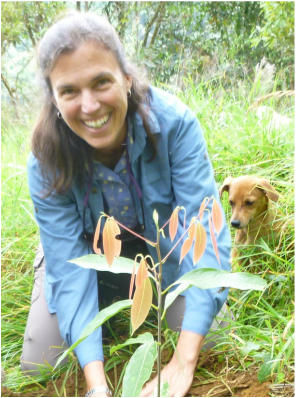 Her current research is focused in rain forests in Latin America and chaparral, grassland and riparian systems in California. 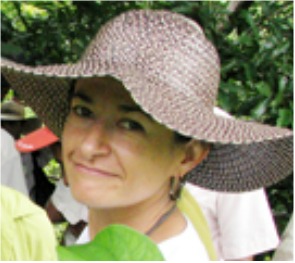 She advises numerous public and private agencies on land management and restoration. In 2008 she was selected as an Aldo Leopold Leadership Fellow and is committed to communicating with policy makers and the public. She teaches courses in restoration ecology, conservation biology, and environmental problem solving, and served as chair of the Environmental Studies Department at UCSC. She is the associate editor for the Island Press-Society for Ecological Restoration book series and faculty director for the Ken Norris Center for Natural History. She is a Fellow of the California Academy of Sciences and was the 2017 winner of the Theodore Sperry Award of the Society for Ecological Restoration. I am studying restoration in the context of tropical productive agroecosystems. In particular, I am focusing on silvopastoral systems (SPS), a form of agroforestry that integrates multiple layers of trees and shrubs with grazing pastures. SPS are already considered a promising alternative for productive intensification in the Neotropics. Their high productivity is based on the ecological interactions and processes that they harbor over time, and therefore, SPS could also have potential as a tool for the ecological restoration. My research seeks to better understand how SPS can contribute to the restoration of cattle dominated landscapes, and how the principles of restoration can be applied to design better SPS. The goal is to make restoration more attractive to landowners, by using it to enhance productivity and resilience in these landscapes. I am interested in coastal prairie ecosystems and the factors that control their diversity, and how we can best overcome potential diversity loss and barriers to restoration. I am specifically interested in: native annual forbs (wildflowers) and their seed banks; the potential impacts of climate change on these communities through changes in precipitation patterns and variability; and the importance of disturbances, such as grazing and fire, in maintaining these habitats. I’m interested in examining how ecological restoration can assuage the loss of biodiversity in degraded tropical landscapes. Because arthropods represent a large portion of this diversity, they provide an ideal system to examine the efficacy of restoration efforts. My research experience through University of Wyoming includes work on parasitoid wasp behavior and soil arthropod community dynamics during succession, both of which are applicable within a tropical restoration framework. In particular, I will investigate how different restoration strategies (passive, tree plantations, and applied nucleation of tree islands) within abandoned pasture and agricultural land affect arthropod meta-population dynamics, tri-trophic interactions, and functional diversity. The Proyecto Islas, a long term restoration study in Coto Brus County, Costa Rica, provides a unique opportunity for investigating such questions.